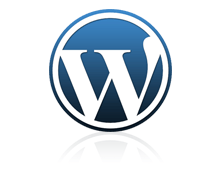 WordPress is the most popular blogging software in the world. Version 3.0, released under the code name Thelonious, is the thirteenth major release and fixes no less than 1271 bugs. It is now possible to run multiple blogs simultaneously. With the previous versions, a separate installation had to be completed for each blog. Thanks to WordPress MU, it is possible to have multiple blogs with one installation. Current users can upgrade to the new version via the WordPress Dashboard. For its hosting customers, Combell installs the software entirely free of charge. Read more about WordPress hosting here.